Corsair Enthusiast Series - Active PFC 120MM Fan - VX450 450W - ATX 2.2 (CMPSU-450VX) - Used"
The Chi Sam Electronic AD200-12P 400 Watt PSU promises more power at a lower Electricity bill. The Chi Sam Electronic AD200-12P 400 Watt PSU promises more power at a lower Electricity bill. Thanks to various integrated techniques, this component does not provide only the necessary performance, but also protects the other hardware. From us was the used power supply reconditioned also enabled by the use of all functions can be used without restriction. In addition to active power factor correction (PFC), the Chi Sam Electronic AD200-12P PSU rated a protection against spikes, surges and short circuits equipped. This protects against all the other PC hardware because thus e.g. the motherboard only receives the right care. As input voltage 100 to 240 volts are supported, so you also the site of the PCs remain flexible. The total output of 400 watts, provides the Chi Sam Electronic AD200-12P demanding Users satisfied. This allows not only the supply of the motherboard, hard drives and other conventional components, but also sufficient for many powerful Graphics cards. With games and multimedia applications benefit from an even higher Performance. 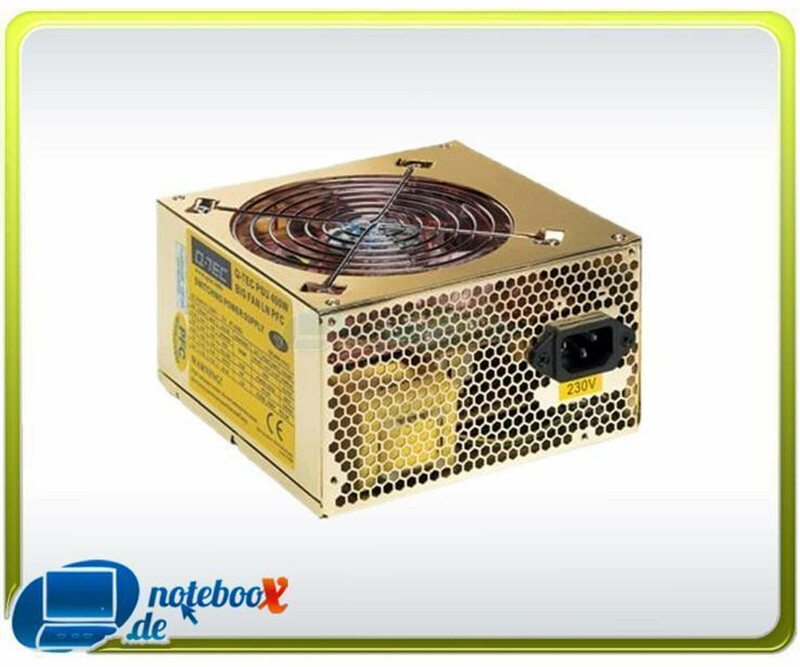 Other special features of the Chi Sam Electronic AD200-12P 400 Watt power supply include the Compliance with the ATX12V specification and the extra large 120mm fans. Especially the latter allows whisper-quiet operation, yet can conduct the heat completely out of the housing. Your hardware thus does not suffer from overheating and the noise level remains at all times on a comfortable level.